Most of the engineering applications involve heat and mass transfer. The rate at which the heat transfer takes place would eventually determine the performance of the device/machine. Efficient heat transfer would ensure hazzle free functioning of the device and also increases the life of the device.The team is currently working on design and development of heat transfer devices and materials such as cost effective indegenous thermal interface material, design of novel heat sinks for reduced junction temperature in LED lighting systems, natural convection in rotating enclosures and design and development of multiloop pulsating heat pipe for heat transport. Heat transfer in LED lighting solutions is enabled by employing thermal tapes to join the components. These tapes are extremely costly. In this age of high competition, a thermo-adhesive material would be best suited to minimizing this cost. 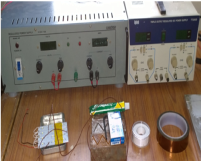 The group is developing novel materials for this application by using MWCN based thermal pastes, which have shown improved heat transfer characteristics. Their adhesive properties require further study. 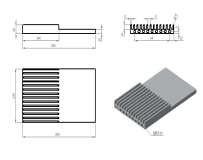 All heat sinks are provided with fins to dissipate heat from the heat source. With limitations on their shape, size and operating environment, fins may not be efficient enough to remove heat generated. 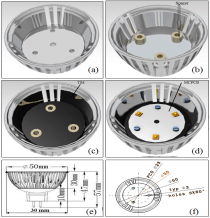 The lab is currently developing and testing novel designs for heat sinks used in LED lighting applications that can improve heat transfer, given existing constraints. Rotation in natural convection flows are important in naturally occurring processes like geophysical and astrophysical phenomena; in many engineering applications such as in nuclear plants, electronic cooling, re-entry of space vehicles, gas turbines, spin-stabilized missiles, cooling of conventional rotating machinery, and guided missiles; in the manufacture of single-crystal wafers and in space-based manufacturing processes. When natural convection takes place in a rotating enclosure, the flow in the enclosures is driven by different body forces, called pseudo forces, which make the flow and heat transfer characteristics more complex and need to be explored further. The study of their combined effect is an important field of research to understand the flow and heat transfer features of natural convection in rotating enclosures. It receives the attention of many researchers worldwide due to their varied applications in many technological fields and natural occurring processes. The lab is actively involved in research in this interesting field. designing multiple-loop PHPs. The proposed design can work without the traditional wick structure and will be capable of removing high heat flux. Transient and steady state experiments will be conducted for different working fluids, viz., acetone, methanol, ethanol and heptane for different heat loads, fill ratios, diameters and orientations. The thermal resistance and heat transfer coefficients of the PHPs will be evaluated. A suitable numerical model is also being developed using MATLAB and ANSYS, and results of the experimental work compared with numerical work. Additionally, flow visualization studies will be carried out using high speed camera. Slug flow, semi annular flow and annular flow in PHP will be analysed. 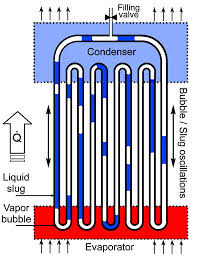 Effective thermal cooling is planned by attempting to fit the PHPs onto an electronic chip. Tribology is the science and technology of relative motion between interacting surfaces. The domain of Tribology includes the study of friction, lubrication and wear. Relative motion between two mating surfaces in machine members requires special attention to friction. Improper lubrication results in loss of precision in manufacturing and, hence, loss of productivity; this, further, leads to serious economic losses to the industry. Lubrication minimizes the stick-slip phenomena between the interacting surfaces. As machines consist of a number of moving parts, there is a huge demand for lubricants to meet the needs of a number of industrial applications. Recognizing this high-felt demand, the Centre is actively involved in the design and characterization of specific industrial additive-based lubricants that can prolong the life of machine members. Polymers, by virtue of their ease of processing and low cost of production, have become the most sought-after materials for industrial applications, replacing traditional metals and materials. Their scope in industrial and structural applications has been ever increasing. In this context, the Centre is involved in developing polymer composites materials for machine parts. These composites have a polymer matrix filled with varying volume percentage of reinforcements to improve the mechanical and tribological properties of the composites. Such composites have the potential to replace a monolithic material. Linear motion guideways are one of the most critical parts of any machine tool. The main factor affecting the performance of guideways is friction. In the sliding contact guideways, the relative motion between the elements is sliding, thus giving rise to sliding friction. Reduction of friction, either through improved design, or through the use of more suitable contacting materials, or again through the application of better lubricating substances, is thus an extremely important problem of modern technology. Lubricants and coolants being the mainstay of the automotive and machine tool industry for reducing friction and wear become important from both the operational and manufacturing point of view. Generally speaking, the smoothness of movement is improved by reducing friction. Though frictional force is reduced by the application of lubricant it is also important to keep the frictional force steady. Unsteady or variation in frictional force leads to jerky motion or stick slip in machine tool slideways. 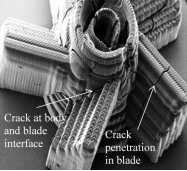 Thus, stick slip, in tribology, is a cyclic fluctuation in the magnitudes of friction force and relative velocity between two elements in sliding contact, usually associated with a decrease of the coefficient of friction with onset of sliding or with increase of sliding velocity. In most practical sliding systems these fluctuations of the sliding velocity are considered a serious nuisance, and measures are normally taken to eliminate, or at any rate to reduce the amplitude of the fluctuations. The requirements of linear guideways and industrial lubricants are rising, especially for machine tools which have to meet various demands such as high positioning exactness, good compatibility with coolants, stick slip free with low coefficient of friction over a wide speed range and good demulsifying behaviour on metallic slideways. The above requirements can be achieved by employing different slideway materials and design of lubricants by the addition of different additives like Boron Nitride etc. The tribological efficiency of these lubricants with regard to linear guideways is tested using a reciprocating tribometer or a four ball tester. 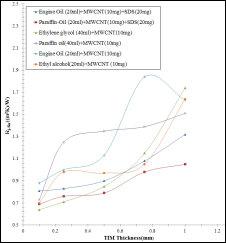 The research work addressed investigation of tribological efficiency of lubricant (oils and greases) or coolant governed by a number of parameters. These include the sliding speed of the mating members, physical and chemical properties of the lubricant, demulsification behaviour of the lubricant/coolant, oil groove design and geometry and the material of the sliding members involved. It is also proposed to investigate some of the tribological issues by replacing the liquid with a solid lubricant such as Molybdenum di-sulphide or Boron Nitride or Graphite impregnated into a polymer. The other aspects of study include possible oil and wear particle analysis. CIIRC has 3D printing lab facility for prototyping the products to be used by various industries for different applications. This lab of the centre offers the advantages of mid-sized, thematically focused, scientific groupings within the larger, more diverse academic environment in additive manufacturing. 3D printing is the process of manufacturing physical objects/prototypes of designed geometry directly from their CAD models without any human intervention and without the use of any tools, dies or fixtures. Since in this process the object is built in a layer by layer manner, 3D printing is known more appropriately as the Layered Manufacturing (LM) process or rapid prototyping. 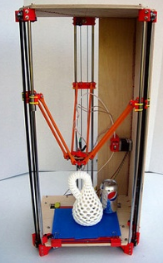 3D printing utilizing the extrusion of thermoplastic material is easily the most common and recognizable 3DP process. The most popular name for the process is Fused Deposition modeling (FDM). The process works by melting plastic filament that is deposited, via a heated extruder, a layer at a time, onto a build platform according to the 3D data supplied to the printer. Each layer hardens as it is deposited and bonds to the previous layer. The most common material for FDM 3D printers is ABS. The researchers at CIIRC have also worked with other 3D printing methods in development of micro products for mechanical and other applications. Figure shows some of the prototypes developed by researchers of CIIRC using micro stereolithography. Other topic of interest is plating of rapid prototyped components, optimization of build features, metal coating (Ni & Ag), which provides structural integrity and enhancement in strength and evaluating thermo-mechanical properties. The primary objective includes identification of potential applications in aerospace, medical devices and automobiles, for utilizing the upcoming rapid manufacturing processes with enhanced property by plating. Optimization of Hole Characteristics During Pulse Nd: YAG Laser Drilling of Commercially Pure Titanium Alloy. Muralidhar Avvari, Manjaiah M., Mashamba Able, Rudolph F. Laubscher, Raghavendra K. Lasers in Manufacturing and Materials Processing (2017)4:76-91. 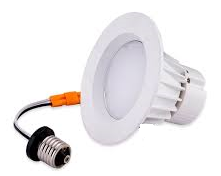 Heat Transfer Analysis of a 7.5 W LED load with passive and active cooling for constant luminance applications. Sangmesh, Gopalakrishna K., Venkatesh K. Journal of CPRI. 9(4):583-592. Tribometer, High Temperature Stir casting Furnace, Thermal Imaging Camera, 3D Printer, Multiloop Pulsating Heat Pipe setup, 8 Channel Data Acquisition Setup. 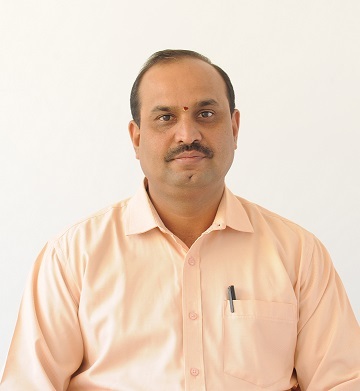 Gopalakrishna K holds a Masters in Mechanical Engineering having specialized in Production Engineering from the University of Mysore and a Ph.D in Polymer Tribology from NAL-VTU. He has an overwhelming experience of more than 30 years in academics and research. In addition to Tribology his research and teaching interests include Pneumatics and Hydraulics, Thermal Engineering and Engineering drawing. The other research domain of interest is Heat Sink optimization. He is also certified by industry major FESTO in the domain of mechatronics and executed numerous projects resulting in more than five patent filings. With significant research publications in reputed Scopus / Thomson Reuter indexed journals and a monograph to his credit he has been active in developing autonomous systems for surveillance funded by Naval Research Board-DRDO, Coating Systems for RP Components by ISRO-DOS and others. He has also worked as a consultant for Avni Energy and developed numerous products besides supervising students for their doctoral work. 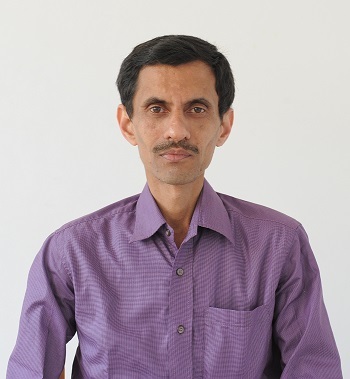 Gopalakrishna is a Reviewer for journal publications of Elsevier, Sage and Emerald. He is also a fellow of various professional bodies such as IEI, ISTE, ISAMPE, TSI. His other hobbies include singing and table tennis. 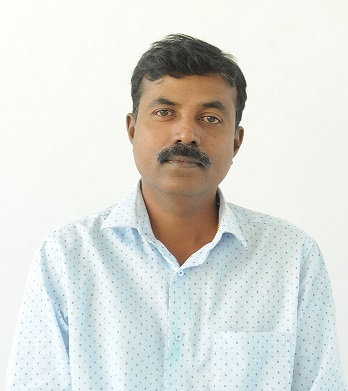 Currently, Gopalakrishna is working as Professor at the Centre. 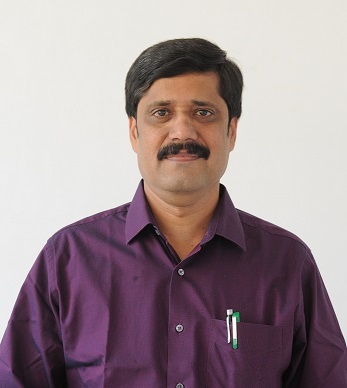 Mohan C B has a Ph.D in Lubricant Tribology from NAL-VTU with a Masters in Manufacturing and a Bachelors in Mechanical has 22 years of academic and research experience. His areas of interest include coolant tribology, development of additives and optimization of oil groove geometry, material and manufacturing for use in autonomous and energy systems. He has several research publications in International Journals and conferences to his credit. He is a Life member of ISTE and TSI, Fellow of Institution of Engineers (FIE) and Fellow IIPE. Subjects that interest him are Control Engineering, Theory of Elasticity, Theory of Machines, Metrology and Measurements, Non-Conventional Energy Systems Friction and Wear of metals etc. He has guided many projects at post graduate and graduate levels. 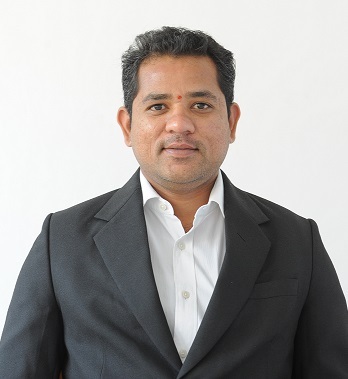 Mohan has been a consultant for the companies M/s Magnum Engineers Pvt.Ltd, Bengaluru and M/s APRO Lubes Ltd. At M/s Magnum Engineers Pvt.Ltd, Bengaluru, he has been involved in the design and development of linear reciprocating tribometer for lubricants and coolants characterization. He has been involved in the development of new additives for lubricants for slide way applications at M/s APRO Lubes Ltd. and was a coordinator for students from Jain University that participated in the SAE Aero competitions held at USA. Mohan is also a technical advisor to NDRF-IEI and worked on the development of a VTOL system funded by DRDO being the PI. Apart from academics and research activities he has also participated in extracurricular activities. He even now pursues his love for music and loves singing light music. He is fond of reading books on philosophy. Mohan is currently working as Professor at the Centre. M. G. Anantha Prasad is a Professor at the Centre. He holds a bachelor’s degree in Industrial Production from Bangalore University, Master’s in Product Design & Manufacturing and Ph.D in Mechanical Engineering from V.T.U. He has 15 years of experience in academics and 2 years of industrial experience. He has executed sponsored projects on Entrepreneurship. Some of the innovative projects that have been executed are: Conversion of walking stick into chair, Energy park and Banana Peeling Machine under the sponsorship of state’s Science and Technology Council. His areas of interests are in biofuels, advanced materials, cryogenic effect on materials and product design. Prasad has been at the forefront of many entrepreneurship development initiatives supported by DST and EDI. Anantha Prasad has several publications to his credit besides being fellow of various professional bodies and projects from DIC in the domain of rapid prototyping. Prasad is also the recipient of the Commonwealth Fellowship from UK in the year 2015 besides having worked at other institutions in various capacities. 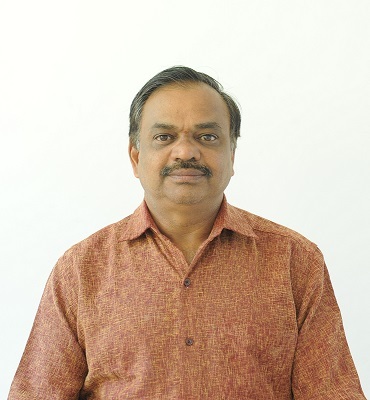 G C Vijayakumar, Professor at CIIRC, holds Ph.D in mechanical engineering from VTU together with an MBA in financial management from Southeastern University, USA. He has a combined experience of 32 years in academia, research, and industry in India and abroad. His experience spans academics/training management and administration, undergraduate (B.Tech) and graduate (MBA) teaching, training need analysis, life skills and behavioral skills training, content design/ development and delivery, faculty/trainer recruitment/selection and appraisal, vendor management, feedback design and implementation, faculty/management development programs, and strategic learning initiatives. While in the industry, he has held senior positions such as Vice President and Head – Training in an US$2billion, SEI CMM Level 5 organization in Muscat, Sultanate of Oman; Vice President – Projects and Processes and Vice President – Strategy and Programs in an organization within the international education and training space; Country Head – Training in an engineering design software distribution and implementation company; and, Training Manager in VIT University. He has a great flair for both teaching/training and active research; students receive him very well. His teaching interests include Fluid Mechanics, Hydraulic Machinery, Design of Machine elements, Strength of Materials, Turbo Machines, Applied Thermodynamics, I C Engines, Financial management, and other management courses. His primary areas of research include analysis and prediction of business failure, general management, tribology, and thermal engineering. BahwanCyberTek LLC, Muscat, CMR Institute of Technology, Centre for American Education Pvt. Ltd, Dell Computers, Dignity Foundation (an NGO), Trent Limited (A Tata Enterprise), VIT University, Vellore, L&T Emsys Lt, Mysore, PES Institute of Tech. and Mgmt., Shimoga, Prabhavathi Builders & Developers Pvt. Ltd.,R V College of Engineering, Oxford College of Engineering, Unisys India Ltd.
Assertivenesssans Aggressiveness, Business Communication, Business Etiquette, Emotional Intelligence, Communication & Presentation Skills, Email and Telephone Etiquette, Emotional Intelligence, Leadership Skills (Managing to Leading), Conducting Effective Meetings, Conflict Management & Resolution, Creative Problem Solving, Effective Delegation, Effective Interviewing and GD skills, Managing and Leading Change Successfully, Strategic Decision Making, Team Building and Team Management Skills, Smart Time Management, Unwind to Rewind (Stress Management). Besides being a member of IIPE, ISTD and AIMA and a life member of ISTE and CSI, he has keen interest and dabbles in predictive astrology. 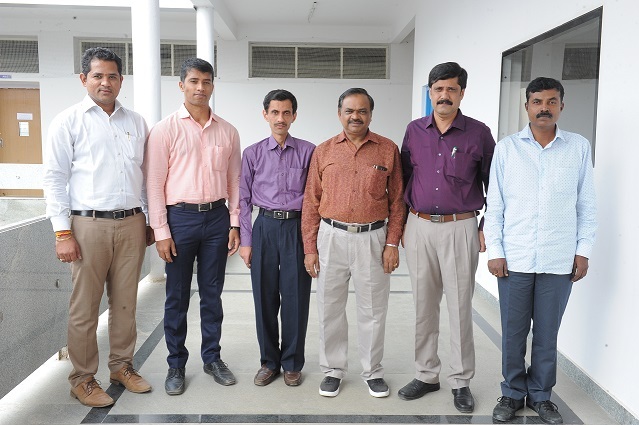 Narendra Kumar obtained his Bachelor degree in Mechanical Engineering from Bangalore University, Masters from Pondicherry University and Doctoral degree in CFD domain from VTU. He is a GATE scholar and has 16 years of teaching experience at under graduate and 10 years of inclusive teaching experience at post-graduate level of engineering. He has guided more than twenty projects at under graduate engineering level and more than ten projects at post-graduate level. He has numerous research papers to his credit in national, international conferences & refereed journals and has participated in several workshops. His areas of interests include Heat Transfer, Thermodynamics, Computational Fluid Dynamics, Fluid Dynamics, Refrigeration & Air Conditioning, Turbo Machines and IC Engines. He has the honors of Life Member of ISTE, MIE and is an Professor. Raghavendra Krishna a GATE scholar holds a Ph.D in Additive Manufacturing with Master’s in Manufacturing Technology from NITK, Surathkal and researches in the domain of Additive Manufacturing. His work on laser based 3D printing is published in various journals and presented in conferences. He has a varied breadth of experience working on various aspects of Rapid Prototyping, Laser Technology and works as an Associate Professor. He is a promoter of Make in India and Made in India concepts especially pertaining to products related to Khadi and also works with Indian naturopathy medicine practitioners as a CSR activity. Jagadeesh Kumar Mannekote obtained his Ph.D from JU and M.Sc., with second rank from Kuvempu University. He has research experience of over a decade in the area of Lubricant formulations, additives development for different applications, Sustainability and Life cycle analysis of materials. He also worked as a Researcher at IISc and IIT Chennai wherein contributed in projects of Coconut Technology Development Board and DRDO on grease Tribology. He has been a recipient of National Rural Talent Merit Scholarship from the Government of India. He has also received university merit scholarship from the department of Industrial chemistry Kuvempu University. He has published twenty research papers, book chapters and proceedings in national and international conferences. He has also delivered invited talks at national and international conferences. 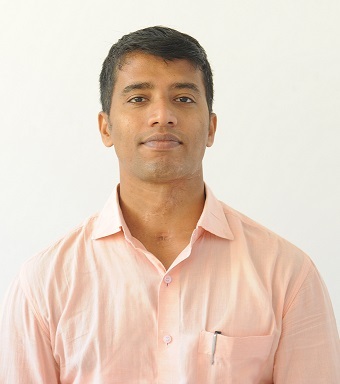 Jagadeesh Kumar is currently working as an Assistant Professor. He is a life member of the Tribology Society of India (TSI) and collaborates with SIAM laboratory, Department of Mechanical Engineering, Indian Institute of Science, Bengaluru and also with Egyptian Petroleum Research Institute (EPRI), Cairo, Egypt. Sangmesh holds an M. Tech. in Energy Engineering and is currently pursuing Ph.D in Mechanical Engineering from VTU on new cooling systems for electronic devices. He has four years of teaching experience and works as an Assistant Professor. His teaching interests are Basic Thermodynamics, Applied Thermodynamics, Engineering Drawing, Machine Drawing, Non Conventional Energy Systems and IPR. He is a life member of ISTE and International Association of Engineers, Technical committee member SAE India Aero design and Faculty advisor SAE. He has been an organizing committee member of state level Engineering project Exhibition and published articles in national journals and conference proceedings. Sangamesh is an exmember of the Antiragging committee of VTU and has represented Karnataka in a convention on National Security hosted by FINS, India. He has established the SAE Collegiate Club at JU and played a key role in initiating and heading the team Vegi Racers. This team focused in designing and developing a formula car, and an Effi cycle.